Carolyn's not so different from the other people around her. She likes guacamole and cigarettes and steak. She knows how to use a phone. Clothes are a bit tricky, but everyone says nice things about her outfit with the Christmas sweater over the gold bicycle shorts. In the years since then, Carolyn hasn't had a chance to get out much. Instead, she and her adopted siblings have been raised according to Father's ancient customs. They've studied the books in his Library and learned some of the secrets of his power. And sometimes, they've wondered if their cruel tutor might secretly be God. Now, Father is missing--perhaps even dead--and the Library that holds his secrets stands unguarded. And with it, control over all of creation. The only trouble is that in the war to make a new God, she's forgotten to protect the things that make her human. 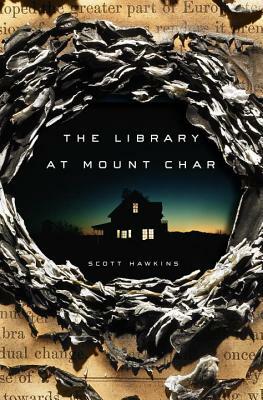 Populated by an unforgettable cast of characters and propelled by a plot that will shock you again and again, The Library at Mount Char is at once horrifying and hilarious, mind-blowingly alien and heartbreakingly human, sweepingly visionary and nail-bitingly thrilling--and signals the arrival of a major new voice in fantasy. SCOTT HAWKINS lives in Atlanta with his wife and a large pack of foster dogs. When not writing he enjoys woodwork, cooking long and impractical recipes, and playing fetch with his dogs. He works as a computer programmer. The Library at Mount Char is his first novel.